1 | Before you can commence bidding on Grandland Auctions Online, you will need to head to Grandland Real Estate’s office to complete your Bidder’s Registration. Click below to view a map of where our office is located. 2 | Once you have completed your Bidder’s Registration at our office you will receive an email prompting you with the next steps that are required to be taken to bid on Grandland Auctions Online. This process will require you to create a username, unique pin, to accept our Terms and Conditions and to confirm your details to bid. The unique pin you create will need to be kept in a safe place as this will be treated as your password. 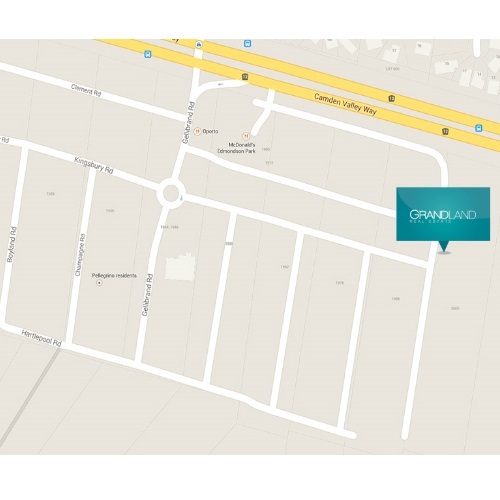 3 | From the Grandland Auctions Online homepage, you will be able to locate the property you are bidding on by clicking the bubble titled “Click here to view upcoming Grandland Auctions Online”. From here you will be able to see the properties that are currently being auctioned or that are about to commence. The time left to bid will also be displayed on those with Auctions already running. Here you will locate the property you are registered to bid on and can either determine the start time and date or if it has already commenced, you can begin bidding. 4 | The bidding page will display an image of the property as well as a brief description. The top right hand corner will show the starting bid, current bid, minimum bid increment and the option for you to enter a bid. To place a bid, simply enter the amount in which you wish to bid and click “Place Bid”. A pop up dialogue will then appear asking you to confirm your bid. Here you will also be required to accept our Terms and Conditions, enter your pin and then either click “Confirm” or “Back” to change your bid amount. Please note: Once a bid has been confirmed, it is logged on our system and cannot be revoked as per our Terms and Conditions. 5 | If you are actively taking part in an Auction, ensure you are frequently accessing the property on Grandland Auctions Online website to keep track of the Auction. A complete Bidding History is included on the bottom right hand side of the property page for your records. 6 | Upon the Reserve being met and the completion of the Auction, a SOLD banner will appear with the successful Bidder’s Number and the sale price. If you are the successful bidder, Grandland Real Estate will be in touch with you to organise the exchange of contracts.